Elyse Pellman began her tenure at Age Wave more than 20 years ago, working with founders Ken and Maddy Dychtwald to envision and drive the firm’s business development. Elyse has held various senior roles over the years as Age Wave has expanded its influence across almost every major industry, including financial services, housing, food and beverage, healthcare, insurance, pharmaceutical, travel, media, and communications. She served as Chief Operating Officer before becoming President in 2016. Elyse brings to the table more than 35 years of experience in senior management and consumer and business-to-business strategy and marketing. Her deep industry expertise informs her oversight of Age Wave’s business development, operations, client management, and marketing. Under Elyse’s direction, Age Wave has collaborated with dozens of Fortune 500 companies, as varied as Bank of America, PBS, United Healthcare, Merrill Lynch, TV Land, Vanguard, and the New York Times. 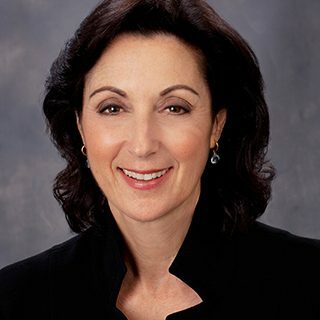 In her comprehensive leadership at Age Wave, Elyse is at the helm to continuously strengthen and grow the firm as 10,000 boomers a day retire and live longer than ever before, creating the massive “age wave” upon which the company was founded—and helping clients to meet the challenges and seize the opportunities presented by this newfound longevity. Elyse oversees the talented multidisciplinary team of internal professionals and external partners to ensure first-class thought leadership and client satisfaction. She also works closely with prospects and clients in the business, nonprofit, and government sectors to create results-oriented strategies, programs, and services that optimize business growth—with an unwavering commitment to making life better for tens of millions of maturing Americans. Prior to joining Age Wave, Elyse held senior positions in business development and account management at advertising agencies in New York and San Francisco. She holds a BS in Marketing from New York University. Elyse lives in Marin with her husband, Stuart, where she enjoys spending time with her grandchildren, attending cultural events, staying active and healthy, and taking every opportunity to travel to Paris.